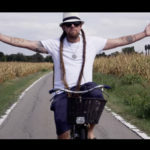 Jah Sun is a distinguished Reggae artist whose message of hope has captivated audiences worldwide. 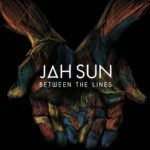 Drawing inspiration from an eclectic mix of musical styles, Jah Sun aspires to awaken in his audience the desire to meet the challenges of life and to live to their ultimate potential. Jah Sun’s upbeat and hopeful view of life first emerged during his childhood. Growing up in a bicultural family gave him a unique perspective not only on life but also on music. At an early age Jah Sun’s musical talent began to emerge. By age 12, he was a featured hip-hop artist on a local radio station. At this time in his life, Jah Sun says “music was a salvation.” As he grew a little older, he was the opening act for numerous national touring hip hop artists, including Black Moon, Masta Ace, Smiff n Wesson and The Getto Boys among many others. His talent as a hip-hop artist, was no longer a secret. When he turned 20 years old, Jah Sun discovered a musical genius who would forever change his world. That genius was Bob Marley. Jah Sun felt an automatic affinity to Marley’s spiritual, mature and worldly music. The imprint Marley left on Jah Sun inspired him to expand his musical horizons and to embrace the message and movement of reggae music. Not soon after, Jah Sun decided to throw his whole being into his music. He moved to Los Angeles and made a total commitment to finding success in the music industry. His commitment, perseverance and unwavering hope soon paid-off. 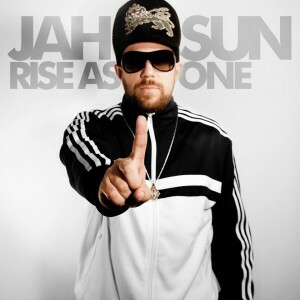 In 2006, Jah Sun’s debut album, “Height of Light”, was released. It featured many of reggae’s top recording artists, such as Luciano, Junior Reid, Lutan Fyah and Grammy Award winner, Yami Bolo. Of the album, The Beat Magazine’s Chuck Foster says, “Jah Sun shines brightly on the “Height of Light”…the message remains positive and focused throughout…and offers some solution to the social problems addressed.” The album featured a variety of musical styles that ranged from fierce hip-hop explosions, to melodic ballads, to rootsy anthems. In short, “Height of Light” has something to offer to everyone. The importance of the album to the reggae industry as well as to mainstream markets was soon apparent. After its release, Jah Sun was the recipient of many accolades. The song “Fyah Dance” was nominated for the LA Music Awards’ Hip-Hop Single of the Year for 2006 and the same song was featured on the 2006 season premiere of MTVs hit show, “Laguna Beach”. A second song, “Nuff a Dem” was included in FUEL TV’s 2007 Vans Downtown Showdown. 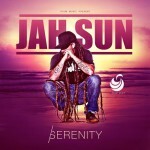 In early 2012, Jah Sun released his breakout album “Battle the Dragon”. The album features a host of reggae superstars, including Peetah Morgan, Alborosie, Stevie Culture, Perfect, J-Boog and Gentlemen. According to Reggaeville’s Justine Amadori Ketola, the songs on “Battle of the Dragon” come from “a wellspring of knowledge that Jah Sun possess in the teaching of Rastafari but also has the positive vibration of all spiritual practices, a sense of oneness and positivity that keeps the vibes high.” Following the release of this album Jah Sun toured not only the US but also Europe, including Sweden, Spain, and Italy. The impact that “Battle the Dragon” has had on his ever-growing fan base is phenomenal. Two of the songs from “Battle the Dragon” were picked up by the distributors Extreme Music and SuperPop which specialize in TV and film placement. One song from the album “Where is your Love” was featured on one episode of the highly successful TV program “Glee”. 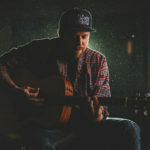 Even though it’s been over a year since its release, songs from “Battle the Dragon” as well as songs from his previously released albums continue to chart on radio stations nationwide. As his music grows in popularity, so too do his awards and award nominations. Perhaps the most notable award he has received for “Battle the Dragon” was at the Positive Vibrations Reggae Awards 2012 for International Album of the Year. Winning this award is a testimony to Jah Sun’s ever-growing popularity not only in America but the world over. 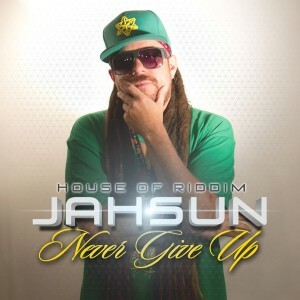 Currently, Jah Sun is working on a new album which will feature industry veterans as well as rising stars. 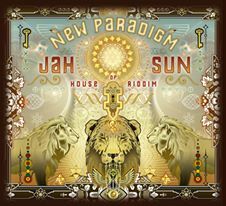 The album will certainly build upon the positive vibes and the message of hope that have become Jah Sun’s trademark. Audiences can also be assured, as Bob Doran of the North Coast Journal has said “…an irie time is guaranteed for all”.